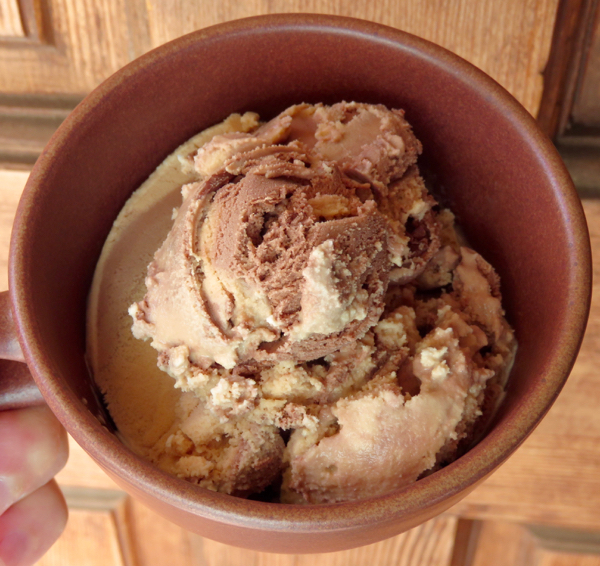 Welcome to Day #11 of Chocolate and Caramel Theme Week. 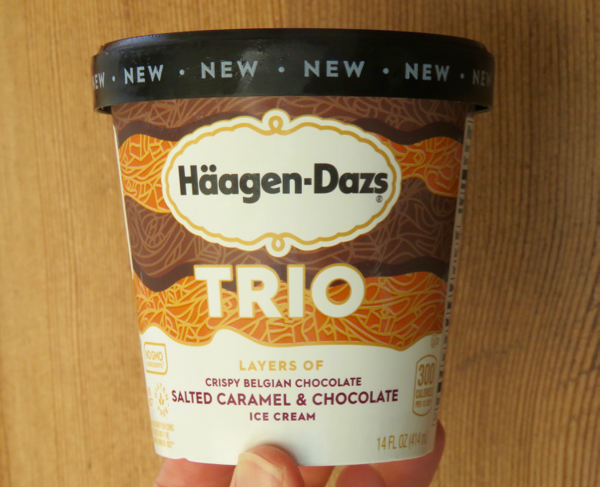 Today's Haagen-Dazs Salted Caramel and Chocolate Ice Cream Crispy Trio Layers was a smooth blend of salted caramel and chocolate ice creams with thin layers of darker, Belgian chocolate. 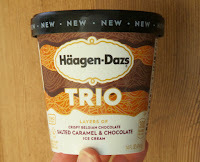 The Haagen-Dazs brand was created 57 years ago in New York City, and has since been part of a few corporate portfolios, including Pillsbury, General Mills, and the Dreyers subsidiary of Nestle. Thankfully, the list of ingredients has stayed relatively short and the quality has remained relatively high over the years.